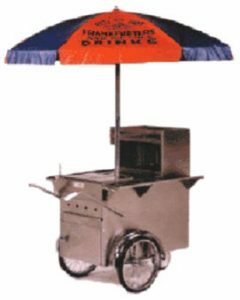 An 800 Buy Cart exclusive, this hot dog cart is made from Staninless Steel and offers a full merchandising solution in a compact package fully equipped to sell your products. 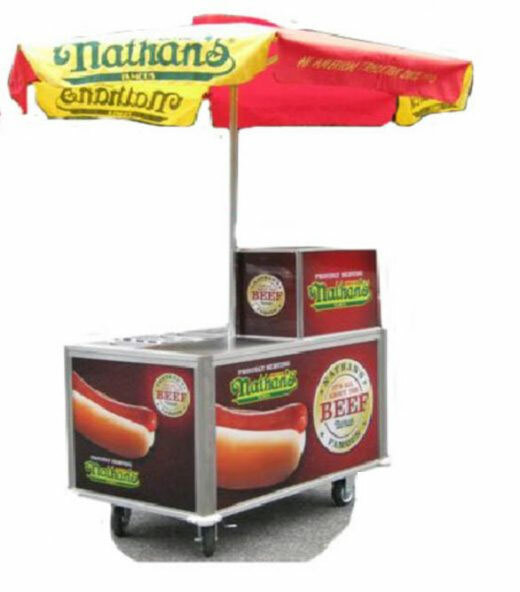 Our classic side-serve hot dog cart, is adaptable for so many uses, including street vending, events, and so much more. 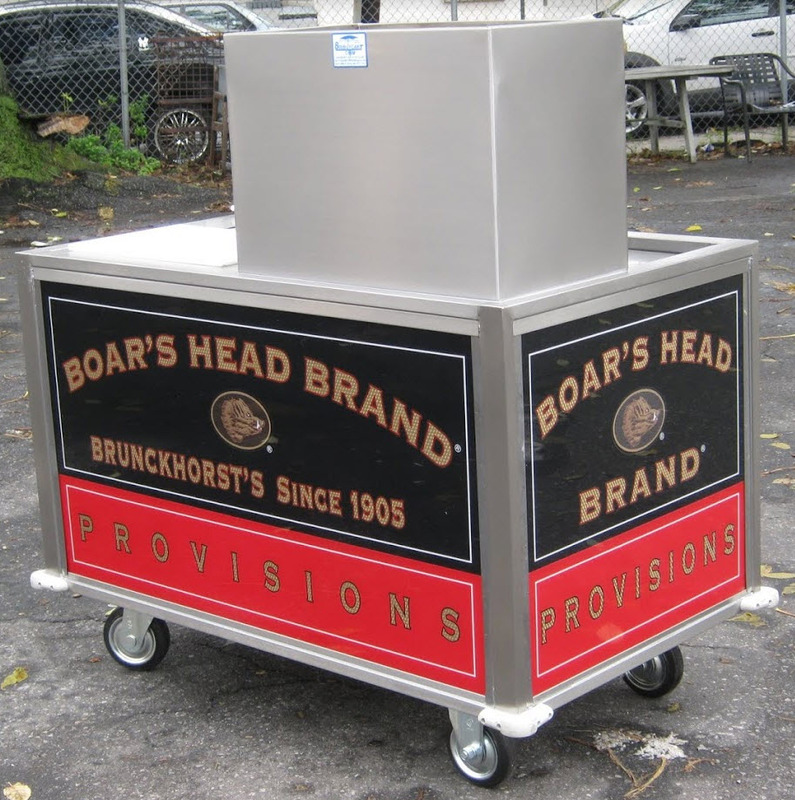 This cart is ideal for promoting brands with its quick-change side panel system. 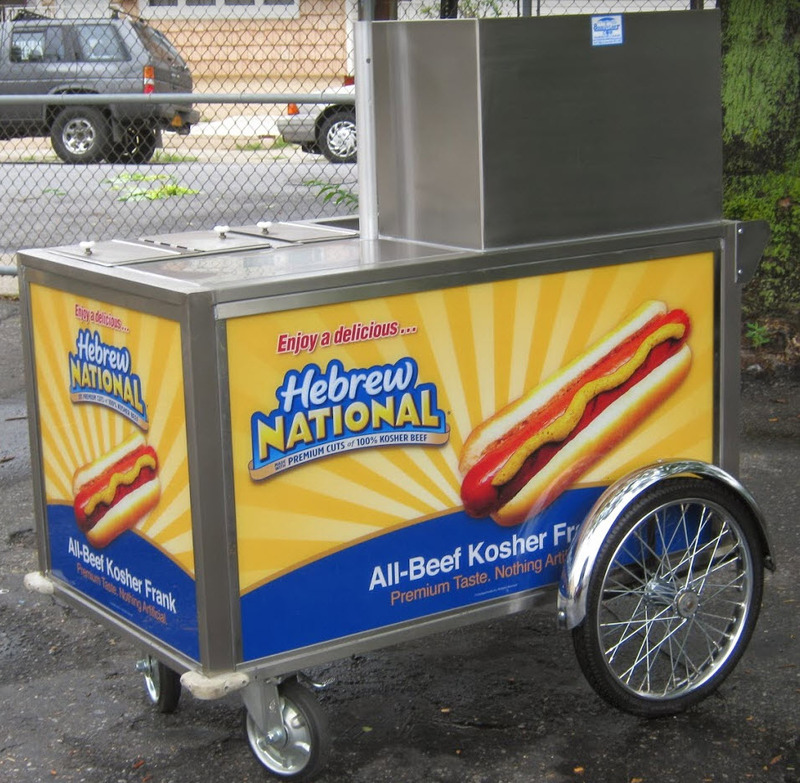 One of the most popular professional grade hot dog carts in the nation!! You’ve seen them just about everywhere. Airports, arenas, stadiums, campuses, and of course, street corners AROUND THE WORLD! 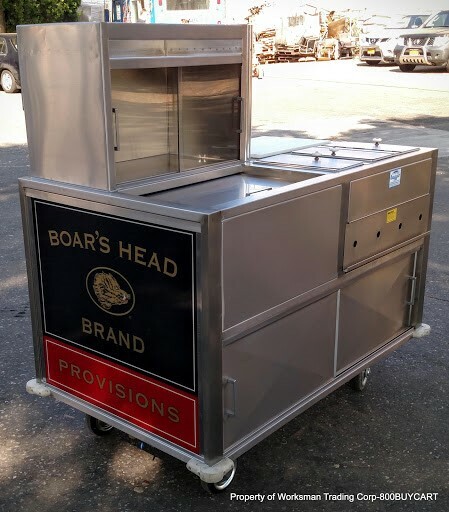 The cart as pictured here is NSF listed with full hot & cold running sink package. 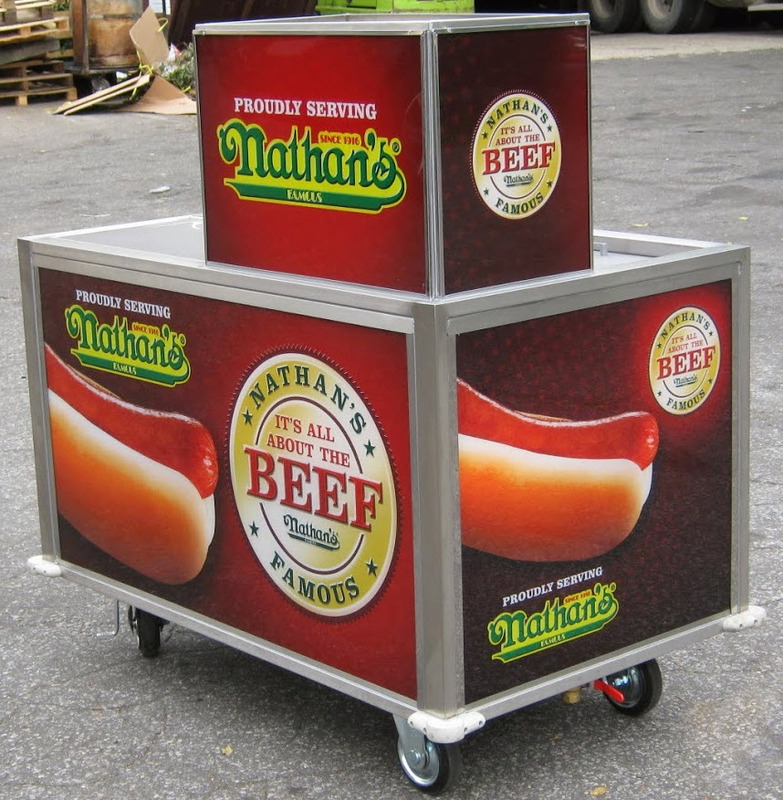 The 800 Buy Cart UltraLite™ redefined the food vending industry with an intelligent design, extraordinary flexibility, and industry-leading choice of options and accessories. Hot or cold food, grilled , fried, boiled or baked, meat, fish, veggies or fruit, there are unlimited ways to use your UltraLite™. Combined with the availability of custom graphics, no two UltraLites™ are the same — unless you buy a fleet! 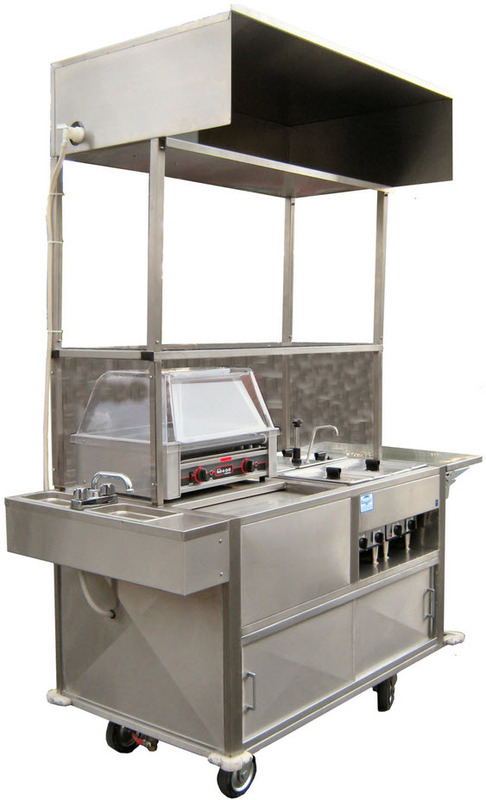 With an industry leading range of options, you can customize your UltraLite™ to meet your exact needs. 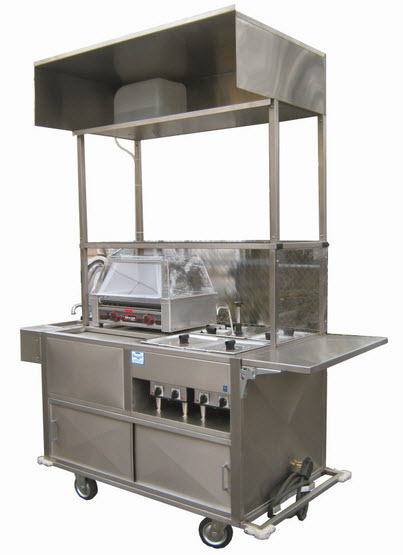 One propane gas burner with two 4.25 Ib tanks. 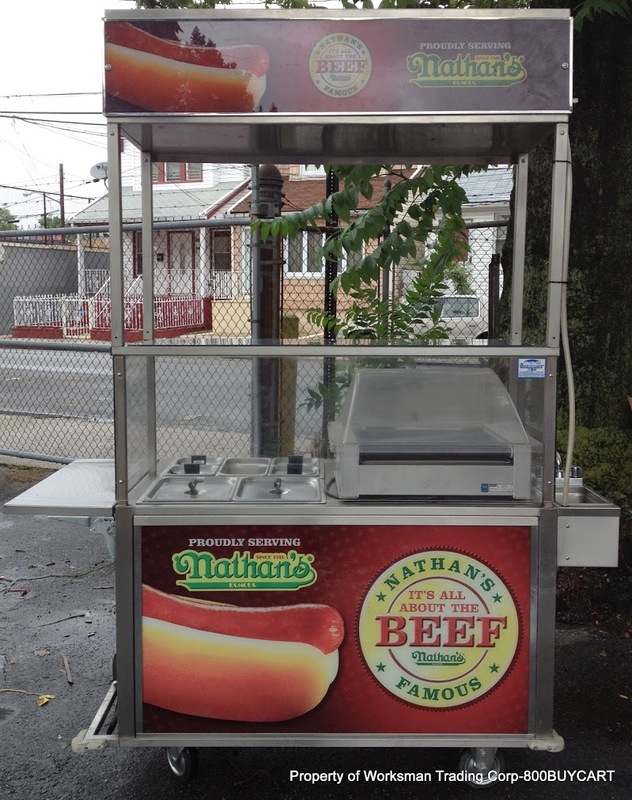 Two propane gas burner with two 4.25 Ib tanks. Sink and enclosure required in most areas. Double 20 lb. gas tank upgrade recommended. Duplex electric outlet and power cord upgrade recommended. 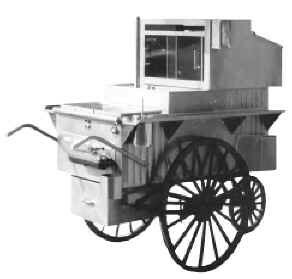 Requires 1/4″ water line OR optional water pump and tank.